The Flying Horse Public House, from time to time also referred to as the Old Flying Horse, ceased to exist in 2014 when it was demolished to make way for new housing development. The Public House once stood on the old Wakefield to Halifax Turnpike Road at its junction with Church Street. Its position made it an ideal calling place for drivers of pack horses between the two towns. Hammond United Breweries Ltd acquired the House in 1949 and their name is displayed in the 1950s sketch. 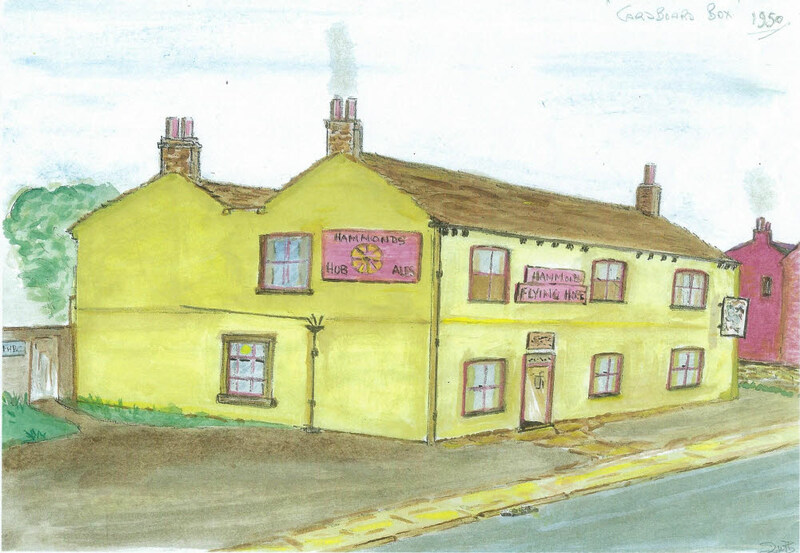 During this period the Public House saw three licensees with David Hunt, who took the license in 1929, handing over to Harold Robinson in 1954 and Lily Robinson in 1958. The sketch shows the entrance to the bowling green which stood behind the Flying Horse and it, at least, has survived the housing development.